Miles College is one step closer to returning to the SIAC Championship game after dispatching Clark Atlanta on Thursday night, 38-17. Tuskegee will have a lot to say about that but the Golden Bears will head into the final week of the season in full control of their own destiny. Miles never trailed in this one after scoring the first touchdown early when CAU inadvertently touched a punt, giving the Golden Bears the ball at the four-yard line. Justin Hardy ran for another score with 5:29 to go in the first quarter to put Miles up 14-0. They would put together a 12 play 80-yard drive later in the second quarter ending with Joseph Cambridge finding Leonard Tyree for a 23-yard score. Clark Atlanta would cut the lead down to 21-7 just before the half when Jajuan Lankford rushed for a five-yard touchdown. Both teams exchanged field goals in the third quarter before Miles exploded for two huge plays that put the game on proverbial ice. First Cambridge found Trey Smith for a 65-yard touchdown strike to put MC up 31-10 and then Justin Hardy crossed the 1,000-yard mark for the season with an 86-yard touchdown run. Clark Atlanta would score one more time but it was of no consequence to the final outcome. 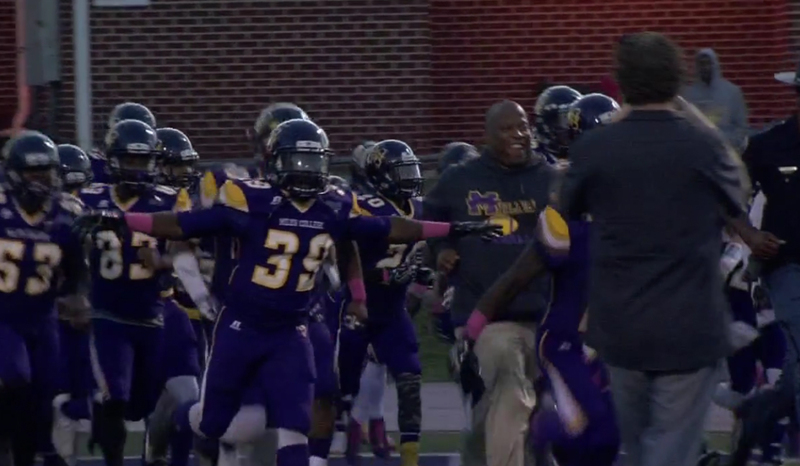 Miles College will now look forward to their regular season finale against Tuskegee. Should Tuskegee defeat Central State on Saturday, both teams will enter the game with an undefeated division record and a berth to the SIAC Championship game on the line.